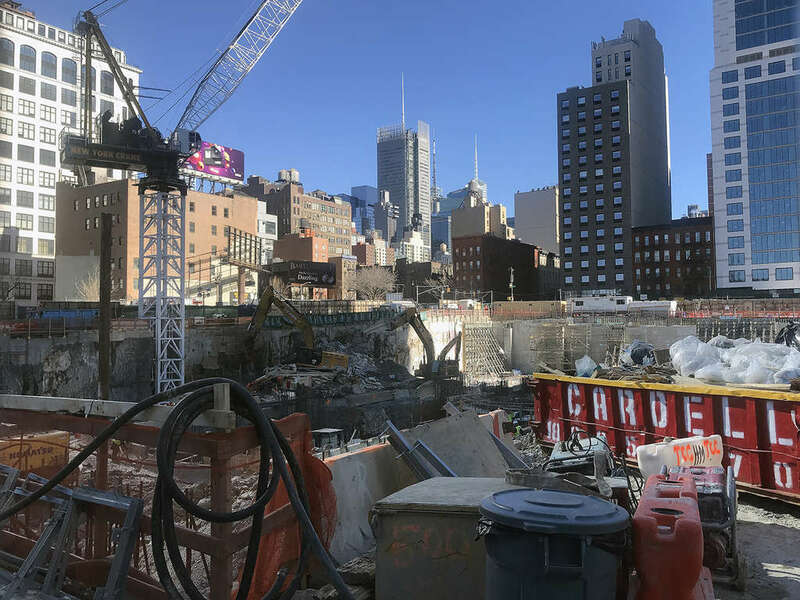 The Hudson Yards mega-development on Manhattan’s far west side is fast becoming a collection of notable new skyscrapers; construction is underway on what may be the most recognizable of the bunch, the office tower known as The Spiral that will occupy full-block site at 66 Hudson Boulevard between West 34th and 35th Streets. 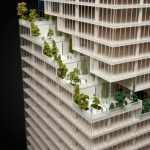 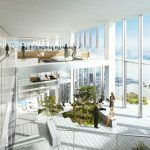 Bjarke Ingels Group’s design features setbacks that wind their way up the building’s exterior, hosting landscaped terraces for tower-level floors along the way. 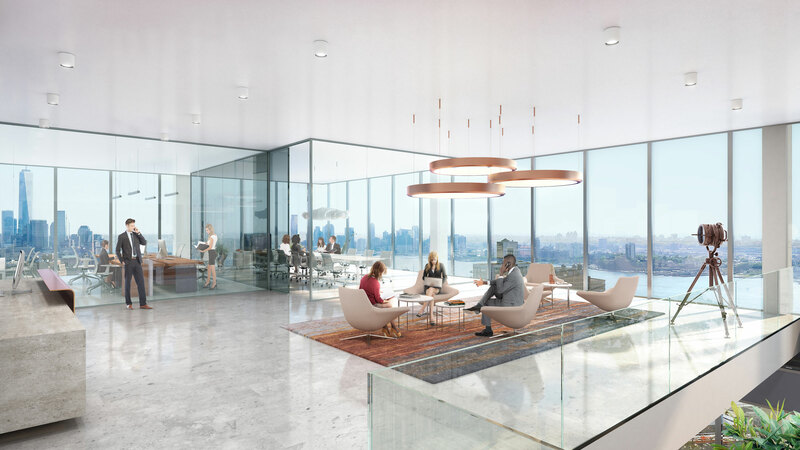 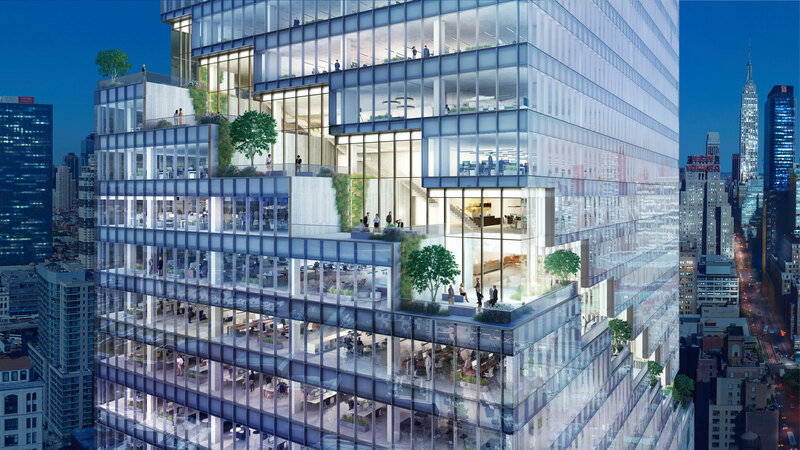 Renderings show sleek, loft-like office space with soaring ceilings and floor-to-ceiling windows overlooking the new Hudson Boulevard Park, home of the Heatherwick Studios sculpture that awaits an official name. 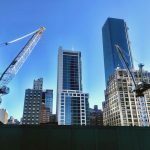 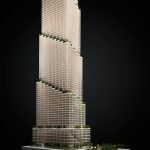 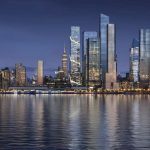 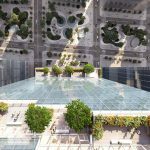 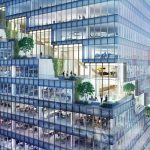 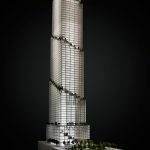 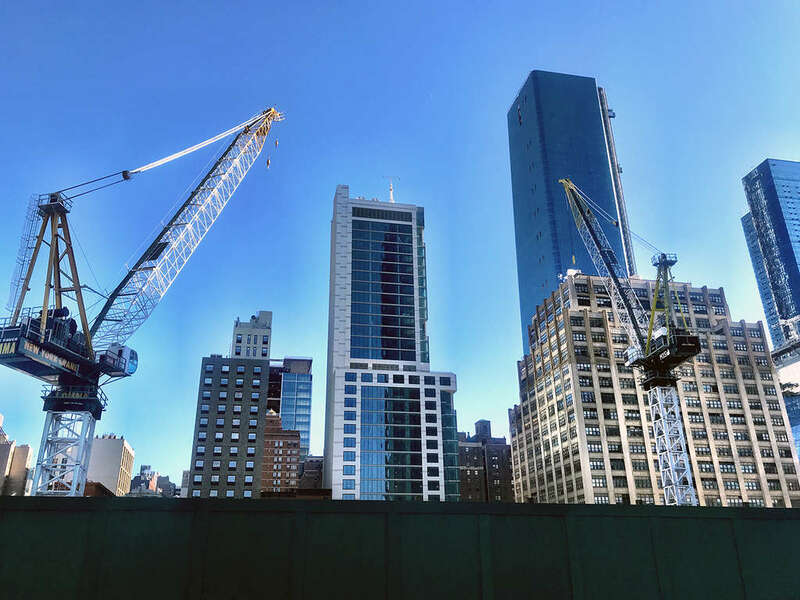 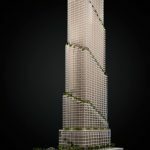 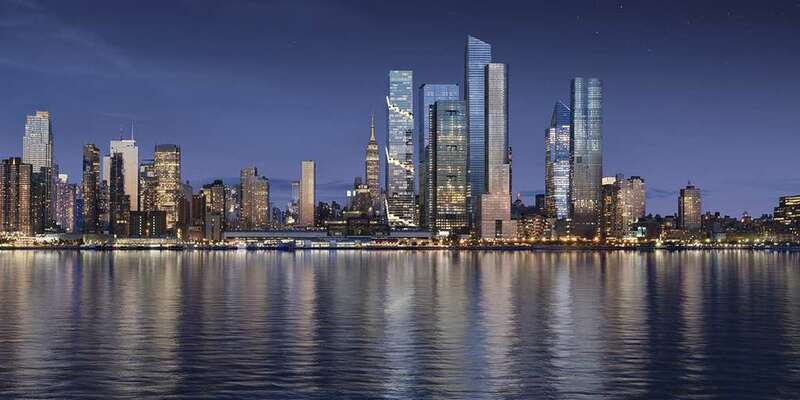 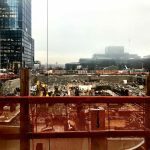 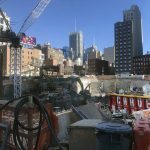 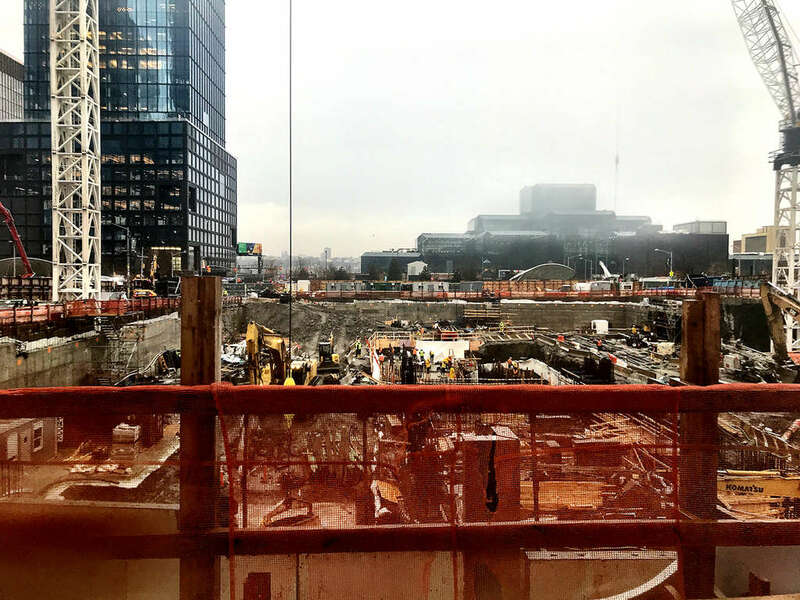 The tower is going up directly across the street from the 7 subway extension, two blocks from Penn Station, and a short walk from both New York Waterway and the Port Authority Bus Terminal. 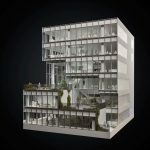 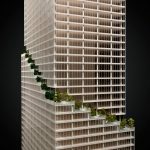 Each terrace will measure a half mile (if laid flat) and will connect with interior amenity spaces such as double-height atriums. 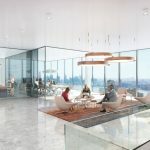 Tenants occupying multiple stories will have the option to use these amenity spaces as points of connection, rather than elevators. 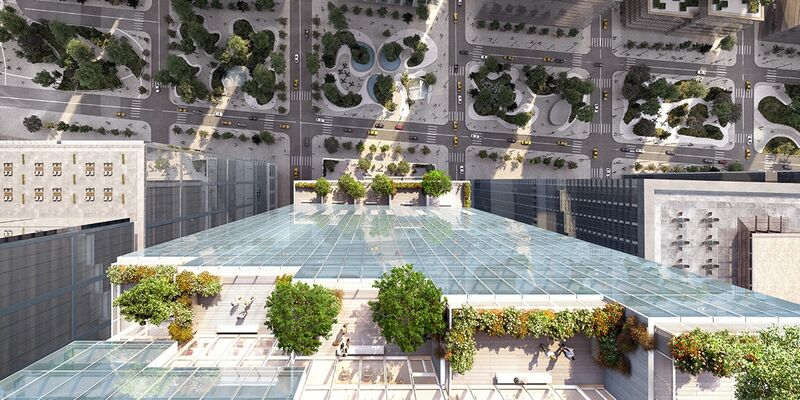 The integrated indoor-outdoor approach is quite similar to what Bjarke plans for 2 World Trade Center. 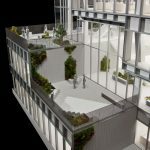 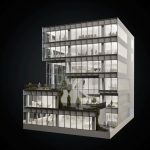 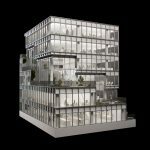 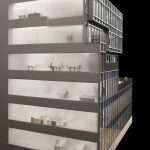 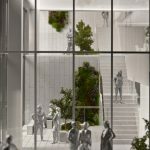 The six-story base of the building will house the lobby with 30-foot ceilings that opens to the adjacent park, as well as 27,000 square feet of retail space. 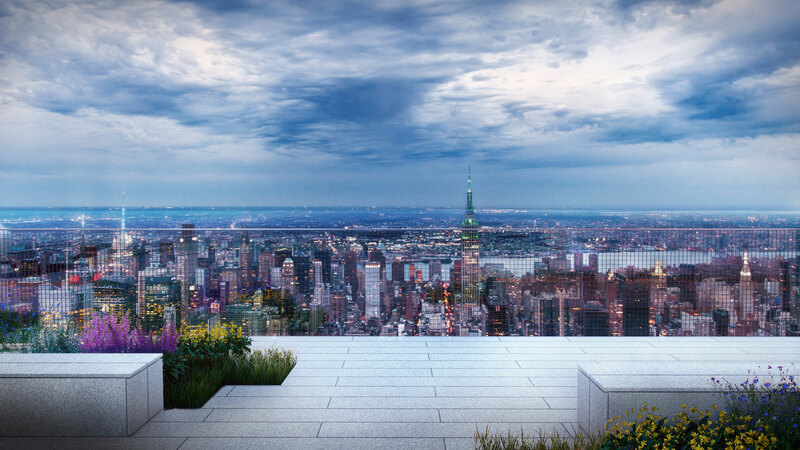 The seventh floor will be an amenity terrace. 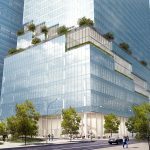 Completion is estimated for the third quarter of 2022, with Pfizer as the anchor tenant. 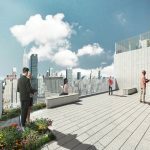 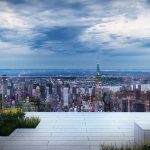 All renderings of The Spiral via Bjarke Ingels Group; all models of The Spiral via Radii Inc.; construction images courtesy of CityRealty.